A lot of people who don’t follow Jesus think those who do are a little silly. Sometimes – more often than I prefer – we do a lot to confirm that sentiment. It isn’t so much what we believe. It has more to do with how we act. Three things happened to me this week that converged to remind me there is a Christian subculture that often does more harm to the message of Christ than it can to effect real change in people’s lives. In Jesus’ day, “gates” were meant to keep things out of a city. Given that notion, it seems as though Jesus is saying that it is hell whose gates cannot stand against the Church, not the other way around. Somehow, a lot of Christians seem to reverse that idea and think that it is the Church that must live behind guarded walls, watching the gates to keep any perceived threat from getting in. We have Christians on the defensive and living in fear instead of carrying out the conspiracy of grace and redemption they are called to. Thanks to Scot for reminding me of this. Later in the week I posted an excerpt from a review of the upcoming film based on Donald Miller‘s book “Blue Like Jazz” on my Facebook wall. I’m very excited about this project. It chronicles the journey of a young man who was raised in the Christian subculture, abandons it, only to rediscover his faith. Unlike many of the films put out by Christians, it does not sterilize the world we live in. It pulls no punches. The producers also spent a lot of time making sure that the message was not invalidated by poor filmmaking. While I appreciate the heart behind a lot of the films Christians release, they are one of the main reasons people who don’t follow Jesus think we’re silly. Don’t believe me? If you can find someone who is not a Christian and has seen a Christian film, ask them what they thought about it. It wasn’t long before a reply was posted with a link to a less than favorable review of the book titled, “Green Like Envy.” Now, I know that Donald Miller is not everybody’s cup of tea and I’m sure there will be critical reviews of the film. What I take issue with is that the review was filled with wrong information, quotes taken out of context and what another friend of mine called “the same old judgmental stuff…why the world thinks of us as haters rather than seeing the love of Christ through us.” (Thanks Rick!) The book was also described as controversial. I chuckled a bit at this. There are a lot of controversial books out there (e.g. “Love Wins” by Rob Bell, “Real Marriage” by Mark Driscoll). Except to those with the narrowest view of what the Gospel means, Betty White is more controversial than Donald Miller. This is another kind of thing that gives reason for people to think we’re silly. This is probably the foundational reason those who don’t follow Jesus think we’re silly. We claim to believe in a message that offers hope and redemption to a broken world, but some choose to live behind guarded walls and wait for others to knock on the gate. We’ve forgotten Jesus’ charge that while we are not of this world, we are still in it. 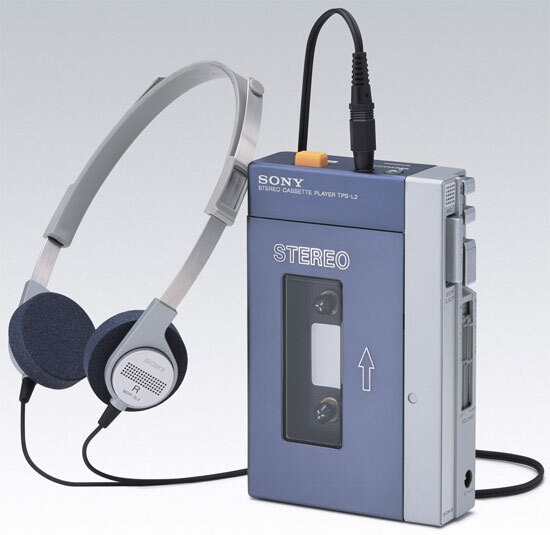 We expect people to come to us and on those rare occasions we do go to them, we want to proclaim our message through a Sony Walkman in an iPod world. It is unfortunate that in film the most common scenario when there is an onslaught against the gates of a fortified city, as in Lord of the Rings, is the good guys on the inside defending against the bad guys on the outside. So, these roles are not only found in modern Christian thought, but are buried deeply within our western culture. Battles such as the overrunning of the Alamo make for wonderful folklore, great battle cries, and dare I mention bountiful tourist dollars. Take up a challenge if you dare. Read the Gospels, all four of them. It can be done in under ten hours easily. As you read, ask yourself this question: Is Jesus on offense or is He on defense? See what you find, and wrestle with the implications for those whose desire is to follow Him. Then, if that is your desire, follow where He leads. Those of us who are Christians on offense can only do so once we develop a sufficient amount of faith in the power of God, and we must deal graciously with those whose faith is not so well developed. Awesome stuff. And then I find this quote in my News Feed, just a few posts away from your blog post. Silly Godincidence. But it sure jumped out at me, since – like most of us – my News Feed is not completely pure – whether or not I want it to be.